BELGAUM: Ladies and Gentlemen. It is time to start your Two Wheeled Engine-less fun machines. 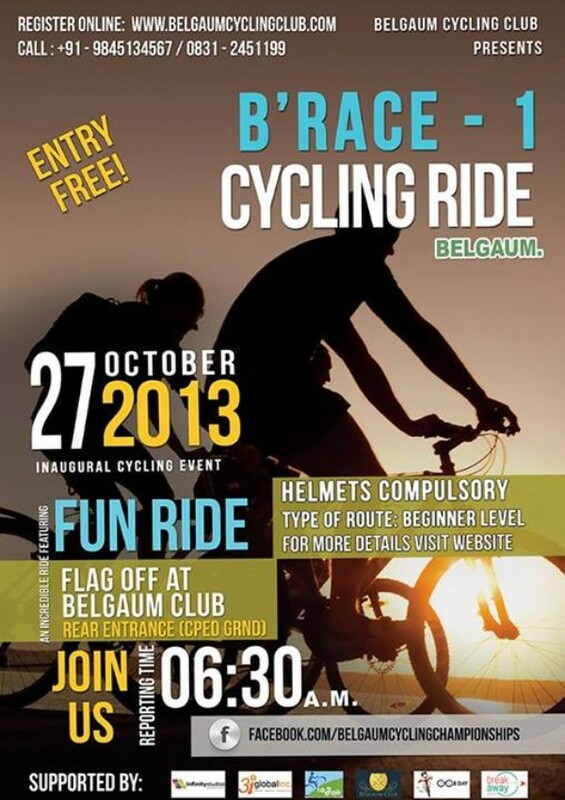 The Belgaum Cycling Club (BCC), under the banner of B’RACE, has planned its first cycle ride on Sunday, Oct 27th. This event is a part of a planned monthly ride system, called B’RACE, being created around Belgaum across various routes & different terrain allowing cyclists to experience nature and the natural beauty of Belgaum. The route is a beginner level which means anyone interested in cycling can join the fun. The reporting time is 06:30am sharp. To register for this event log onto the website www.belgaumcyclingclub.com. Helmets are mandatory for all. 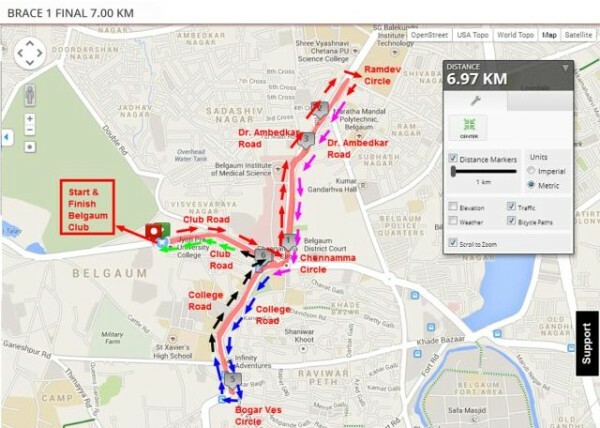 Belgaum has the numbers with respect to a cycling community, BCC as a platform can now provide them with the opportunity to ride more & experience more. The organising team of Tour of Nilgiris from Breakaway Sports Unlimited, are helping put a structure and purpose for Belgaum Cycling Club. Their experience is coming in quite handy. Add to that the support from Mr. Bhaskar Rao who is an avid cyclist himself has helped the club immensely. Launched to promote cycling as a way of transport and for a healthier lifestyle, people are quickly grasping the idea that cycling is no more just a mode of transportation but one that provides for good health, gives an opportunity to explore in a unique way and creating a sense of camaraderie & friendship amongst cyclists which you seldom see in other sport. To kick-start activities, BCC organised a cycle maintenance workshop on Oct 20 at Infinity Studios. The free workshop was conducted by Dipen Shah&Anvith KS and attended by cyclists and enthusiasts and were given lessons on how to clean a bike, tune it to perfection and help them with the nuances of cycling right. For more enquiries, you can contact Dipen Shah at 9845134567 or email him at [email protected].